The facts would indicate quite the contrary. Just before Trump took his decision to recognize Jerusalem as Israel’s capital, yet at a time when the dye had already been cast, Operation Blue Flag 2017 was executed. 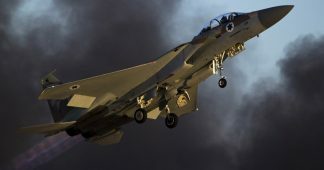 This is the biggest international drill for air war in Israel’s History. In this drill, the following countries participated: the United States, Italy, Greece and Poland and, for the first time in the third edition, France, Germany and India. 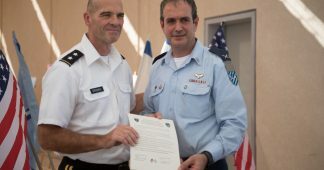 For two weeks, pilots from eight countries (six of which are Nato members), have carried out a drill with 70 airplanes in the Israeli base of Ovda in the Negev desert, assisted by 1,000 soldiers providing technical and logistical support. Italy has participated with four Tornado fighter planes (part of the 6th Formation stationed at Ghedi). Two for attack and another two for electronic war. The United States is participating with seven F-16s from the 31st Fighter Wing based at Aviano. Since these planes have been fitted out to transport the US B-61 nuclear bombs, surely Italian and US pilots, along with others, have been drilled to carry out missions for nuclear attack. According to official information, more than 800 flight missions have been carried out, simulating “extreme combat scenarios with flights at the lowest level and electromagnetic countermeasures to neutralize anti-air defense”. In other words, pilots have been trained to penetrate enemy territory, to strike targets with both nuclear and non-nuclear bombs and missiles. Operation Blue Flag 2017 has improved “cooperation between and operational readiness of the air forces that are participating” and, at the same time, has “strengthened Israel’s international status”. Symbolic – reports the Israeli newspaper Haaretz in an article on “fighter-jet diplomacy” – is “the sight of a Eurofighter jet, carrying the cross of the German Luftwaffe lining up beside an F-15 with the Israeli Air-Force’s blue Star of David” [Translator’s note 2] taking off for the first time, side by side, for the same mission or the French fighters returning to Israel where they had been secretly stationed in 1956 for the Suez campaign against Nasser’s Egypt. 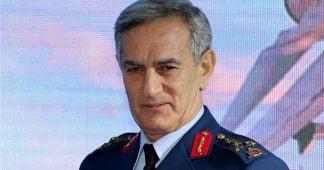 The meeting between General Frigerio, Commander of the Italian Fighting Forces, with General Norkin, Commander of the Israeli Air Force confirms this. This meeting falls within Law no. 94 of May 17 2005, which institutionalizes an ever closer cooperation between Italy’s armed forces and military industrials with their Israeli counterparts. 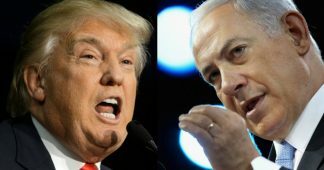 Israel is now a de facto Nato member. By virtue of a “Programme for Individual Cooperation”, Israel maintains a permanent official mission within Nato’s headquarters. 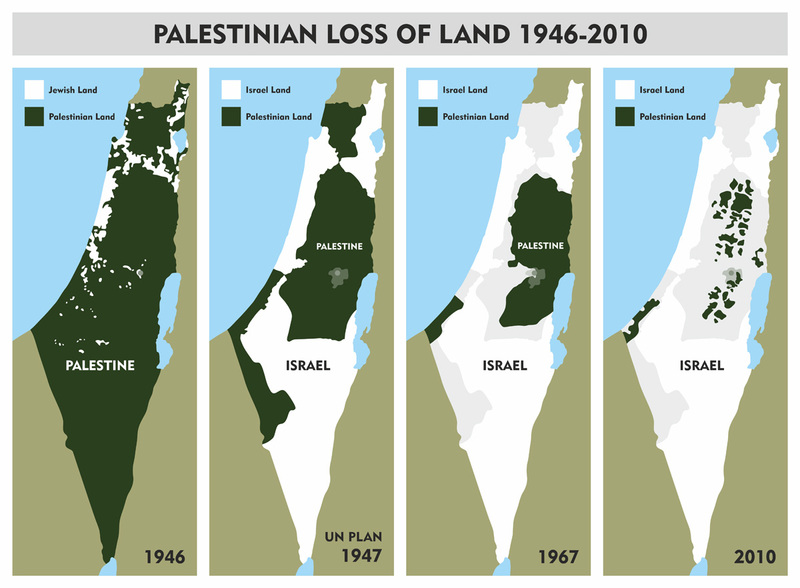 This programme was ratified in December 2008 (just before the Israeli operation “Cast Lead” took place at Gaza). One element of this programme is hooking up the Israeli forces (nuclear forces included) to Nato’s electronic system. 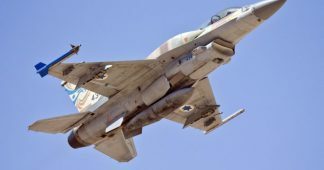 Immediately after Blue Flag 2017, Israeli pilots (who are training with Italian fighters, M-346), started once again to bomb Palestinians in Gaza while Premier Gentiloni declared that “the future of Jerusalem, that sacred city, unrivalled in the world, is defined in the context of the peace process”.